These Greek Chicken Bowls are great for easy meal prep. 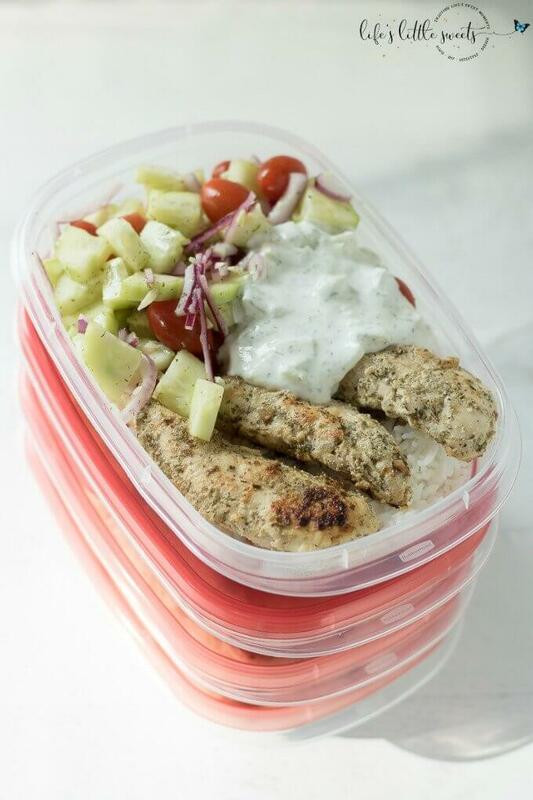 This cheap healthy meal includes chicken over rice with Tzatziki sauce and a grape tomato-cucumber salad. A 30-minute meal that’s perfect for lunchtime or dinner! Hi Everyone, it’s time to share my latest guest post on SoFabFood, these Greek Chicken Bowls. They are so flavorful, fresh and satisfying. This recipe makes 4 containers. This recipe is inspired by Greek Chicken Bowls from Eazy Peazy Meals, I changed some of the amounts and ingredients to my personal tastes; Rachael has a great recipe with a video, definitely check it out!